Image: Davies and Starr/Getty Images, Dierick/Getty Images, Dorling Kindersley/Getty Images. Design: Ashley Britton/SheKnows. Recalls happen all the time, but with so many food and beverage options on the market, it’s no wonder why. Mistakes — and accidents — are bound to happen. But whether a product is pulled due to contamination, possible contamination, foreign contaminants, mislabeling or undeclared ingredients doesn’t matter. What matters is that you are aware of said recall when it happens. 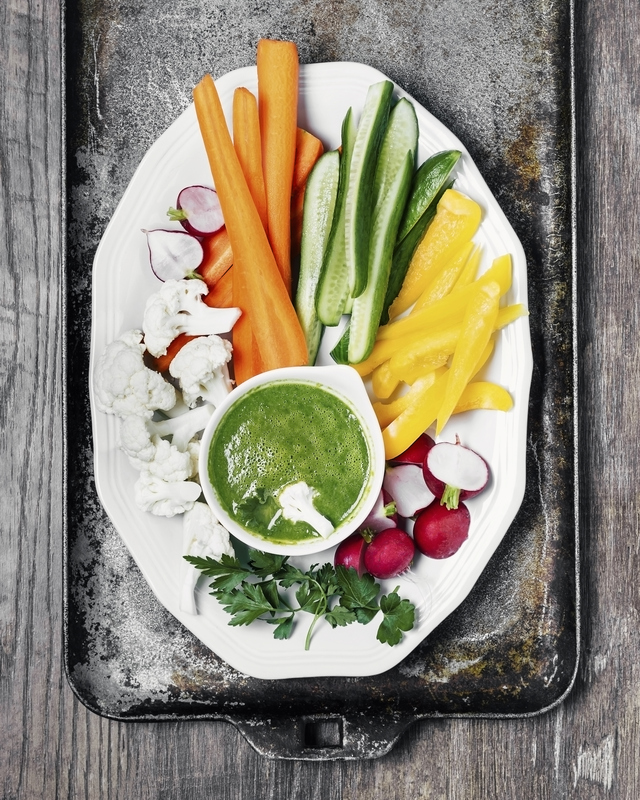 When it comes to your (and your families’) health, time is of the essence. So, how do you know which products to toss, which products to keep and which ones to avoid? Well, in order to help keep you abreast of all of the latest recall information, we compiled a handy list of 2018 recall data. Note: This article is constantly being updated. For the most accurate and up-to-date information about food recalls, be sure to check with the FDA, the USDA, the CDC and/or each individual supplier. Updated Dec. 24, 2018, at 10:41 a.m. 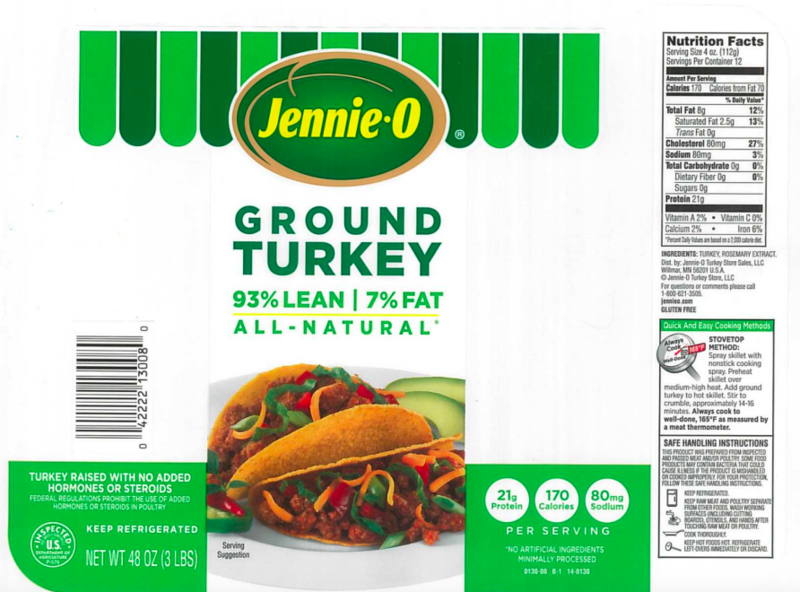 ET: Jennie-O has recalled more than 164,000 pounds of raw ground turkey products that may be contaminated with salmonella. The raw ground turkey items were produced on Oct. 22 and Oct. 23. Take a look at the full list of products subject to recall. If you have any of the recalled product, the FSIS advises you discard it immediately. Original recall information published Nov. 15, 2018: Jennie-O recalled nearly 150,000 pounds of raw ground turkey, as the products may have been associated with a recent salmonella outbreak. According to the U.S. Department of Agriculture’s Food Safety and Inspection Service, the affected items were produced on Sept. 11, and the raw ground turkey products were sold in a variety of packages. 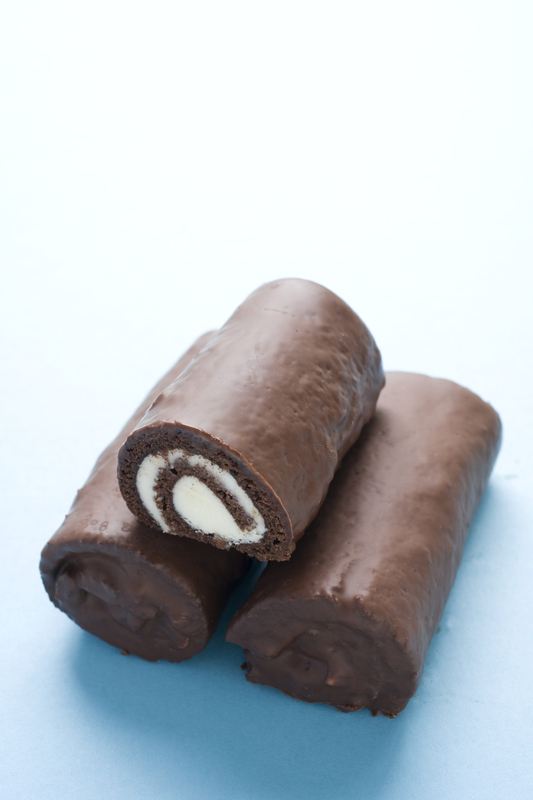 You can see the full list of products on the FSIS website. Out of an abundance of caution, Adam Bros. 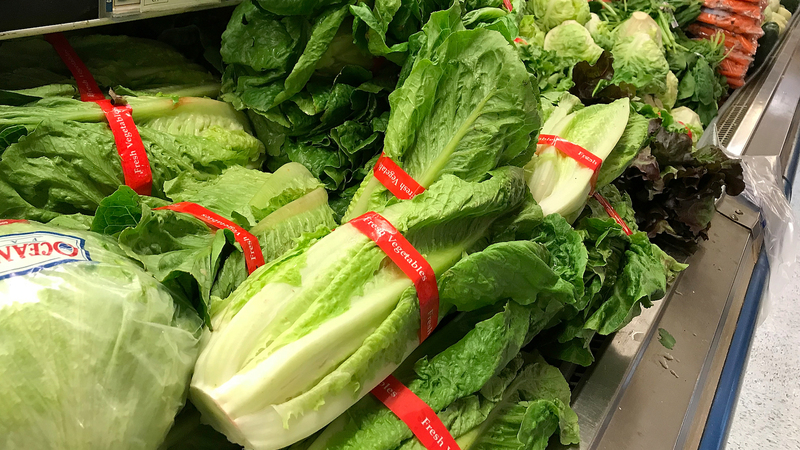 Farming is recalling all cauliflower and lettuce harvested between Nov. 27 and 30, as the products “may be contaminated” with E. coli. This includes romaine, red and green leaf lettuce. The products were sold in numerous states, including Arizona, California, Colorado, Illinois, Louisiana, Maryland, New Jersey, New York, Ohio, Pennsylvania and Washington and in both Mexico and Canada. Consumers should not buy or eat these products, and if you have any in your fridge or freezer, you should discard it immediately. Del Monte Foods is recalling 64,000 cases of Fiesta Corn, as the cans were not properly sterilized. According to the Food and Drug Administration, the under-processing could result in contamination and/or spoilage, and these contaminants could be life-threatening. Consumers should discard these cans immediately and/or return them to their place of purchase for a full refund or exchange. On Dec. 10, CTI Foods recalled more than 29,000 pounds of frozen, ready-to-eat Jimmy Dean sausage, as the pork and poultry links may contain extraneous materials, specifically pieces of metal. 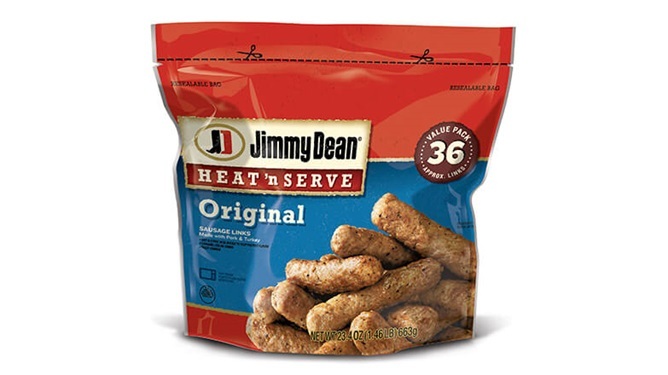 According to the Food Safety and Inspection Service, the affected products — Jimmy Dean Heat ‘n Serve Original Sausage Links Made with Pork & Turkey — were produced and packaged on Aug. 4 and will have a use-by date of Jan. 31, 2019. Establishment number “EST. 19085” will also appear on the back label. If you have any potentially contaminated links, throw them away immediately or return them to their place of purchase. You can also contact Jimmy Dean directly at 855-382-3101. Updated Dec. 5, 2018, at 10 a.m. 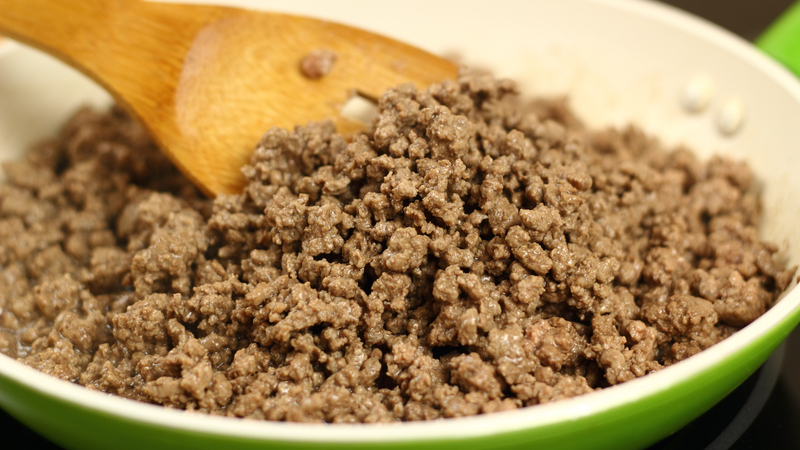 ET: JBS Tolleson Inc. recalled an additional 5.1 million pounds of ground beef and beef products, as the meat may be contain salmonella. The raw beef items were produced and packaged between July 26 and Sept. 7, 2018, and potentially contaminated products bear the establishment number “EST. 267” somewhere on the packaging. Original recall information, published Oct. 26, 2018: JBS Tolleson, Inc. is recalling 6,500,966 pounds of beef, as the affected products may be contaminated with salmonella. According to the U.S. Department of Agriculture’s Food Safety and Inspection Service, the raw beef items — which include ground beef — were packaged on various dates from July 26 to Sept. 7, 2018, and potentially contaminated products will have “EST. 267” printed on the packaging. FSIS advises consumers to return and/or trash any affected items as soon as possible. 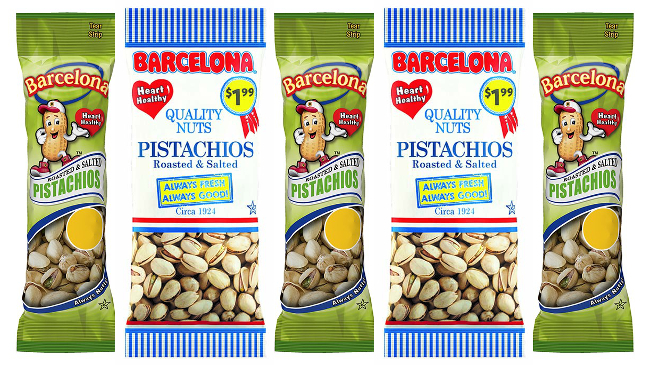 On Nov. 6, the Barcelona Nut Co. recalled several varieties of their pistachios and pistachio-based products after a third party identified salmonella in one of their items. The affected products were sold in Washington D.C., Maryland, Pennsylvania, Delaware, New York, California, Virginia, Ohio, New Jersey and Georgia and carry the following UPC number: 030239510148. The recalled pistachios can also be identified by their plastic packaging, which can be red, white and blue or green. For more information about the recall, visit Food Safety News. 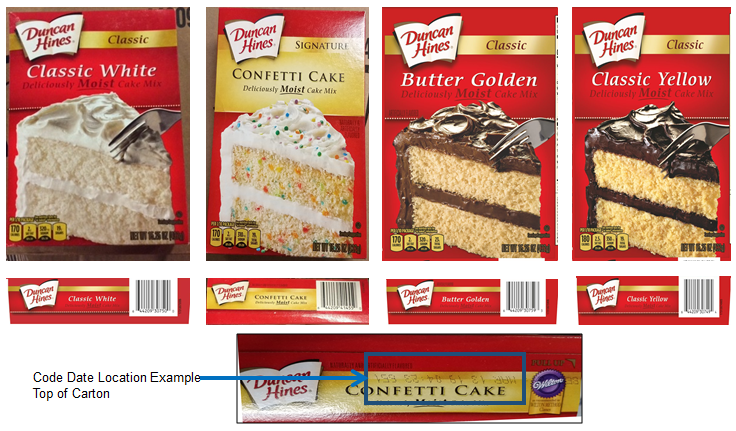 Conagra Brands issued a voluntary recall of several varieties of Duncan Hines cake mix after a box of their classic white cake mix tested positive for salmonella. The recalled flavors include classic white, classic butter golden, signature confetti and classic yellow and were produced between March 7 and 13. 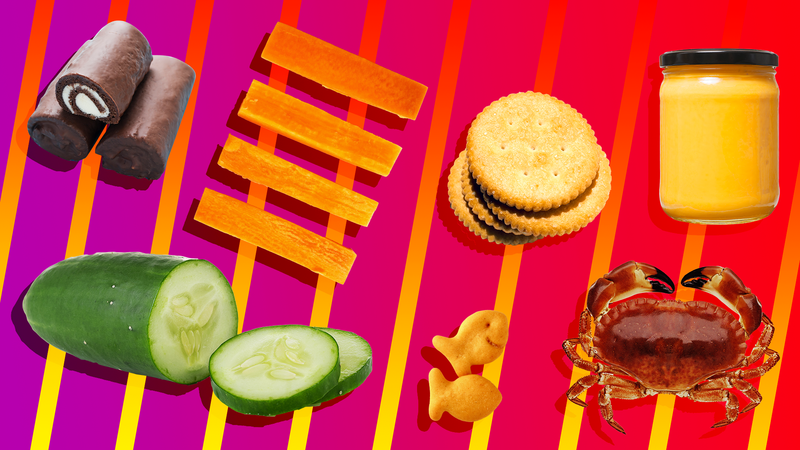 If you have any of these items, do not to consume them. Instead, throw them away and/or return them to the store where they were originally purchased. Consumers with additional questions can call Duncan Hines' consumer care team at 888-299-7646 Monday through Friday between 9 a.m. and 5 p.m. or visit www.duncanhines.com. Frito-Lay recalled select 0.5-ounce bags of Smartfood Delight sea salt-flavored popcorn because the packages were inadvertently filled with cheese-flavored tortilla chips that contain undeclared milk ingredients. 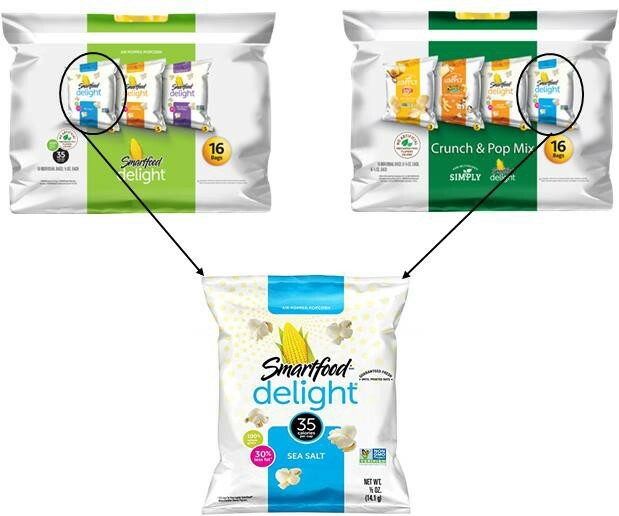 According to the Food and Drug Administration, the recalled bags were only sold in the two variety packs: the 16-count Smartfood Delight variety pack sack and the 16-count Crunch & Pop Mi” variety pack sack. Affected products will have a “guaranteed fresh” date of Jan. 1, 2019, and a nine-digit manufacturing code of 615325107 printed on the front upper panel. No other products or flavors are being recalled. 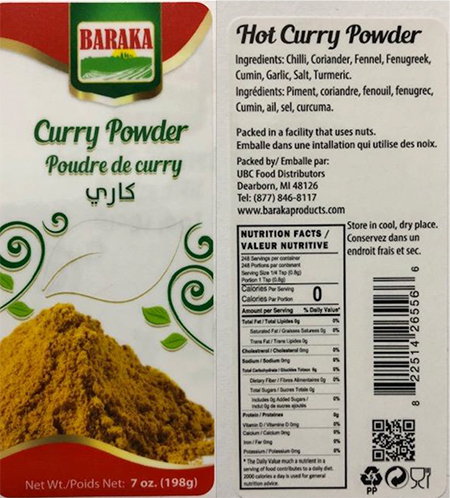 On Oct. 25, UBC Food Distributors voluntarily recalled Baraka Curry Powder and Baraka Hot Curry Powder, as testing revealed the product contained high levels of lead. According to the Food and Drug Administration, less than 20 cases of the powder were shipped stateside, and the contaminated products were produced between June 15 and July 31, 2018. If you have any containers in your home, discard the product immediately and/or return it to the outlet where it was purchased. Image: Melissa Renwick/Toronto Star/Getty Images. Bakkavor Foods USA is recalling nearly 800,000 pounds of ready-to-eat meat and poultry products, as the onion ingredient used in the products may be contaminated with salmonella and listeria. 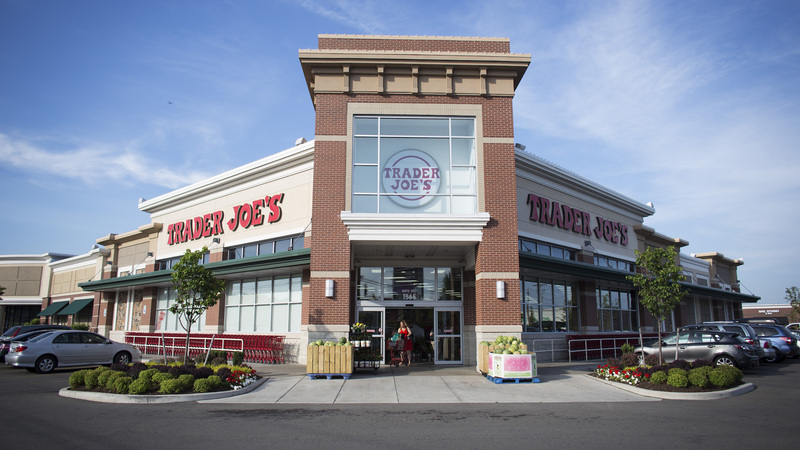 According to the United States Department of Agriculture, the affected foods were produced between Sept. 27, 2017, and Oct. 15, 2018, and sold at Trader Joe’s and Harris Teeter grocery chains. The USDA is advising consumers to discard and/or return any affected products immediately. 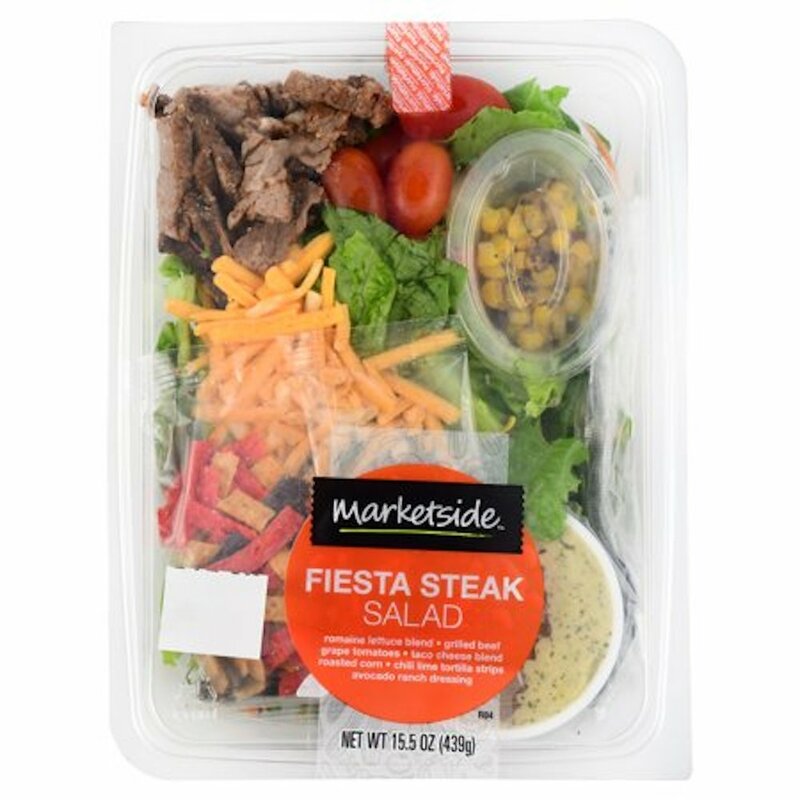 On Oct. 18, GHSE, Mary’s Harvest Fresh Foods, GH Foods and Prime Deli recalled more than 2,800 pounds of ready-to-eat salad because corn in these packs may be contaminated with salmonella and/or listeria. If you have any of the recalled products in your refrigerator, discard it immediately and/or return them to their place of purchase. Valley Fine Foods has recalled over 35,000 pounds of "heat-treated, not fully cooked meat and poultry products” — i.e. microwaveable meals — due to concerns the items may contain “spoilage organisms that have rendered it unwholesome and unfit for human food,” according to the Food Safety and Inspection Service. 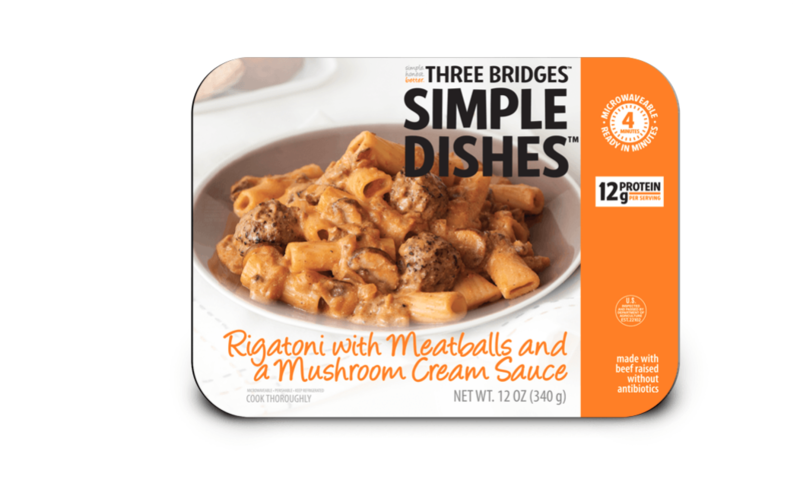 The potentially contaminated products include Simple Dishes Chicken Penne Alfredo, Simple Dishes Chicken Primavera, Simple Dishes Italian Sausage Ziti and Simple Dishes Rigatoni with Meatballs and a Mushroom Cream Sauce. These items were made (and sold) between Aug. 15 and Oct. 4 in California, Connecticut, Maryland, Massachusetts, Michigan and North Carolina. If you have any of the recalled product, throw it away and/or return it to the place of purchase for a full refund. Image: Gos Photo Design/Getty Image. 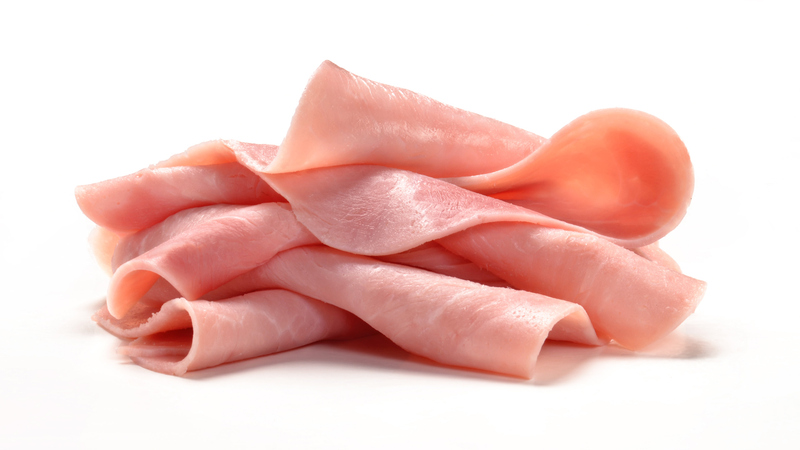 On Oct. 3, Johnston County Hams, a North Carolina-based company, recalled 89,000 pounds of ready-to-eat ham, as the product(s) may be contaminated with listeria according to the U.S. Department of Agriculture’s Food Safety and Inspection Service. Affected items were produced between April 3, 2017, and Oct. 2, 2018, and you can visit the USDA's website for a full list (and pictures) of all the affected packages. Johnson County Hams is urging customers to check their refrigerators and freezers and discard any of the affected product, as one death and three illnesses have been linked to the contaminated meat. On Sept. 13, Bob Evans recalled more than 46,000 pounds of pork sausage product, as the affected foods may be contaminated with extraneous materials, including pieces of clear hard plastic. The sausage links were produced on Aug. 1 and were sold in Indiana, Illinois, Maryland, Michigan, Missouri, New Jersey, New York, North Carolina, Ohio, Pennsylvania, Virginia and Wisconsin. 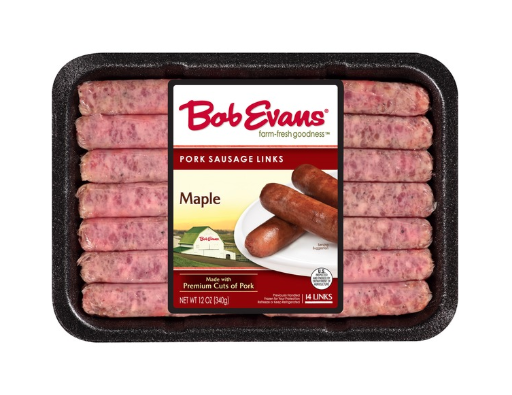 12-ounce overwrap trays labeled “Bob Evans Maple Pork Sausage Links.” These products contain a use-by date of Oct. 16 or 19, 2018, and lot code of 8213. 12-ounce overwrap trays labeled “Bob Evans Brown Sugar & Honey.” These products contain a use-by date of Oct. 16, 2018, and lot code of 8213. 12-ounce overwrap trays labeled “Fresh From Meijer Maple Flavored Sausage Links.” These products contain a use-by date of Sept. 6, 2018, and lot code of 8213. 12-ounce overwrap trays labeled “Giant Eagle Maple Pork Breakfast Sausage Links Caramel Color Added.” These products contain a use-by date of Sept. 10, 2018, and lot code of 8213. If you have any of these products, the Food Safety and Inspection Service advises you to throw them away immediately or return them to the place of purchase. Wayne Farms LLC is recalling 438,960 pounds of frozen fully cooked chicken that may be contaminated with extraneous materials, specifically metal pieces. According to the U.S. Department of Agriculture’s Food Safety and Inspection Service, the affected products were produced between July 4 through July 17, 2018, and bear the establishment number P-20214 inside the USDA mark of inspection. 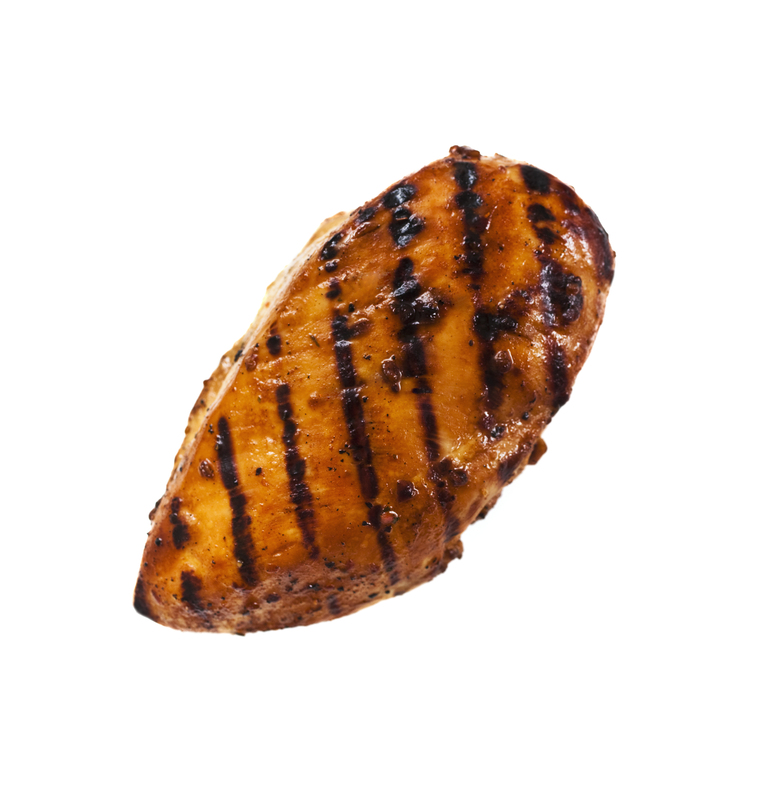 For a full list of recalled chicken, click here. 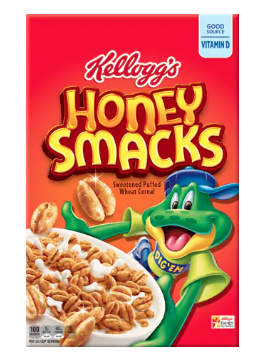 On June 14, the Kellogg company recalled all boxes of Honey Smacks cereal after numerous cases of salmonella were linked to the breakfast food, and on Aug. 31, the Food & Drug Administration updated the recall, as the Centers for Disease Control and Prevention has continued to receive reports of illnesses linked to Honey Smacks. Consumers should immediately discard any Honey Smacks products they have in their homes and/or return it to the store for a full refund "[e]ven if some of the cereal has been eaten and no one got sick," the CDC said. On Aug. 2, HP Hood LLC voluntarily recalled some of their half-gallon cartons of refrigerated Vanilla Almond Breeze almond milk because the product may contain milk, an allergen not listed on the label. Potentially affected containers were sold in the following states: Alabama, Arkansas, Connecticut, Florida, Georgia, Iowa, Illinois, Indiana, Kentucky, Louisiana, Maryland, Maine, Michigan, Minnesota, Missouri, Mississippi, North Carolina, Nebraska, New Jersey, New York, Ohio, Oklahoma, Pennsylvania, South Carolina, Tennessee, Texas, Virginia and Wisconsin. While the beverage is still safe to consume, if you have a milk allergy and/or milk sensitivity you should discard the product immediately or return it to your local retailer for a full refund or exchange. Image: Food & Drug Administration. Lipari Foods LLC issued a voluntary recall of Premo Brand and Fresh Grab Turkey and Swiss submarine sandwiches July 28 due to a possible listeria contamination. 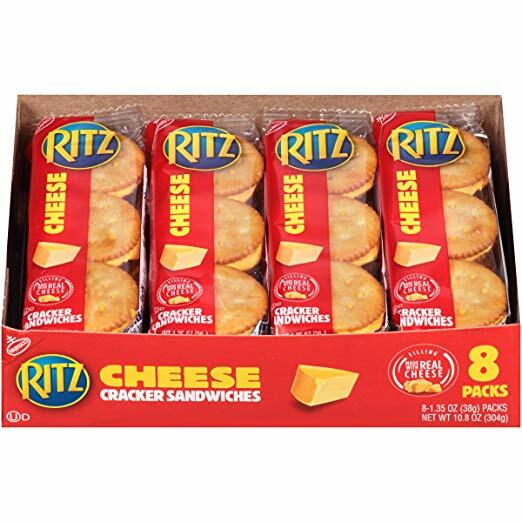 The products in question were produced on July 17 and were distributed to stores throughout Florida, Illinois, Indiana, Kentucky, Michigan, Minnesota, Ohio, Pennsylvania, Tennessee, Wisconsin and West Virginia on July 19. No illnesses have been reported; however, Lipari Foods has stated that if you have any of the recalled product, you should not consume it. 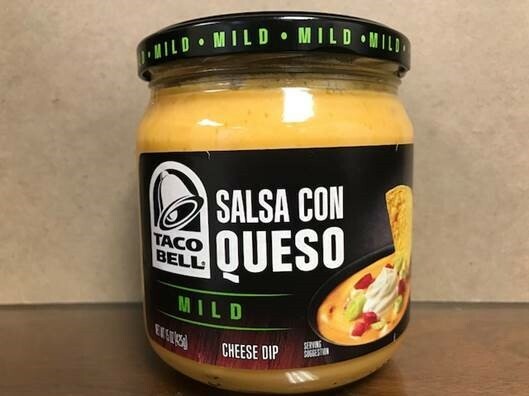 On July 24, Kraft Heinz voluntarily recalled 7,000 cases of Taco Bell Salsa Con Queso Mild Cheese Dip because the product was showing signs of product separation — which can allow for botulism growth. No complaints or illnesses have been reported; however, if you have this product you should not eat it. Instead, return it to the store immediately for an exchange or full refund. Mrs. Freshley's Food LionH-E-BBaker's TreatMarket SquareGreat Value Additionally, Captain John Derst's Old Fashioned Bread — distributed in Alabama, Florida, Georgia, North Carolina and South Carolina — was also recalled. Check out the official recall from the FDA to see if your box is one of the affected products, and if you do have one of the listed packages, throw it out or to return it to its place of purchase for a full refund. 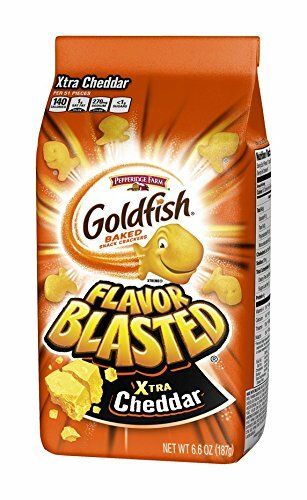 For more information about the recall, read Pepperidge Farms’ official statement. No illnesses have been reported; however, these products should not be consumed — and should be discarded immediately. If you have any questions about the recall, you may contact Mondelez International at 1-844-366-1171. 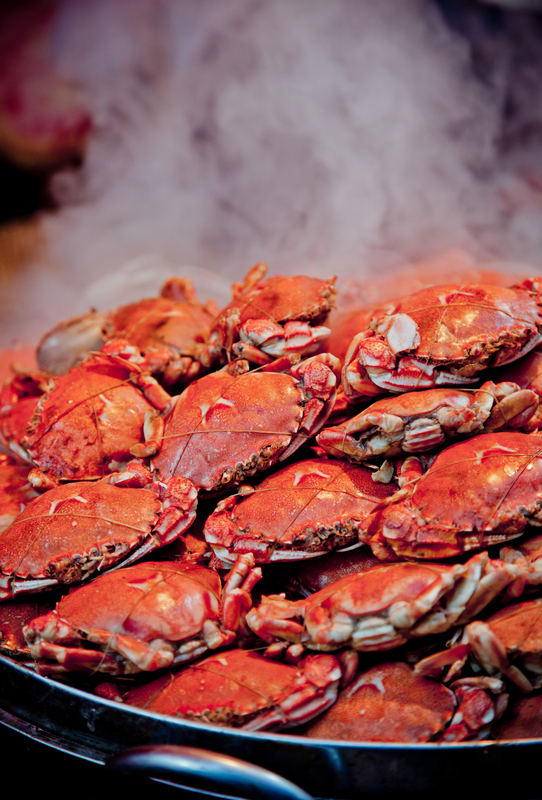 On July 13, the FDA and CDC issued a warning cautioning consumers to avoid eating Venezuelan crabmeat, as many crabs from Venezuela have been contaminated with a bacterium called Vibrio parahaemolyticus. The bacteria, which causes diarrhea, vomiting, abdominal cramps, nausea, fever and stomach pain, has infected 12 people so far, and while four individuals were hospitalized, there have been no fatalities. 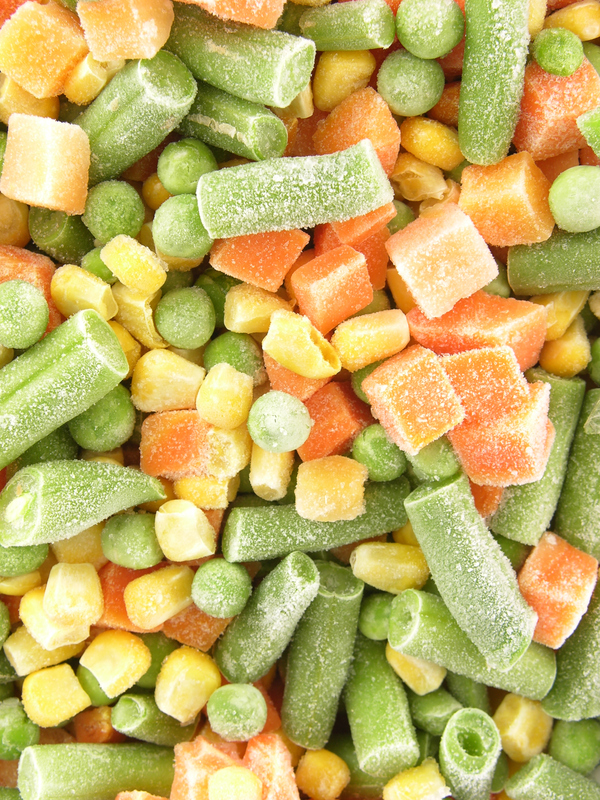 On July 5, U.K. supermarkets pulled frozen veggies from supplier Greenyard Frozen due to a listeria outbreak. To date, 107 countries have been affected — including the U.K., U.S. and Canada — 47 people have been infected in five European countries, and nine people have died. You can find a full list of affected products on the Food Standards Agency website. Del Monte recalled 6-ounce, 12-ounce and 28-ounce precut vegetable trays on June 15 due to the presence of Cyclospora parasites — which can cause an intestinal infection called cyclosporiasis. 6-ounce Del Monte fresh produce vegetable tray with a UPC code of 7 1752472715 212-ounce Del Monte fresh produce vegetable tray with a UPC code of 7 1752472518 928-ounce Del Monte fresh produce small vegetable tray with a UPC code of 7 1752478604 3If you still have a tray in your fridge, throw it out. For more information about the recall, visit the FDA.